Although winters are wonderfully mild down here in Virginia, they can still offer some less than preferable weather for your move. What’s worse, if you’re planning on a long-distance move during the months of November to February, you might have to face snow and other, less pleasant weather wherever you’re going. 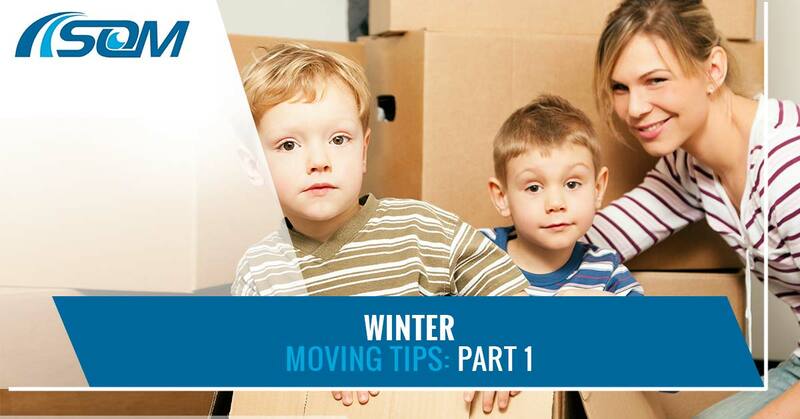 Winter can be a great time to move if you’re not afraid of the weather, as it’s cheaper and easier to find moving supplies and complete the other tasks because of the noticeably fewer folks moving during that time. Since it’s more complicated to do at that time of year, there are fewer people interested in moving. Whether it’s long-distance moving or commercial moving, you’ll need a few tips and tricks up your sleeve to survive the weather and whatever other monkey wrenches that’ll be thrown your way. Thought Virginia’s winter weather can scarcely be described as “cold,” it might be mildly less pleasant than usual. Once your body and your home are used to a certain temperature, even minor temperature changes can cause a shock. Before you head over to your new place, you should ask the realtor or property manager to check on a few essentials. You’ll need to make sure the heat and the lights are on. All of the utilities need to be set up before you head over there, as it’ll be extremely uncomfortable in the winter if they’re not. Make sure the heat is turned on for a couple of days before you arrive. If you’re moving long distance, make sure to reach out to them and make sure they get the walks shoveled if they receive snow. You won’t want to be trying to carry in boxes and slip on hidden ice spilling your things and your body onto the hard concrete. Cold weather, even if it’s just slightly chilly, is unpleasant; it makes your hands hurt and the overcast skies make you just want to lay around and do nothing. To start, make sure the walkway between your main exit and the van are all cleared out so that when the Scott’s Oceana Moving team arrives, you can help them stay as productive as possible. The sooner you get all of the stuff transported into the truck and over to your new place, the sooner you can bundle up and hide from the drowsy wintery weather. Before they get going though, if it’s rainy or muddy outside, be sure to set down pieces of cardboard or rugs down on the ground so you won’t have to worry about deep cleaning all of the debris that could get tracked in onto the carpets. Whether it’s residential, commercial, or long distance moving services, Scott’s Oceana Moving is here to help in whatever way that we can. We know moving isn’t the most fun chore, but we believe it should be exciting. You’re starting fresh in a new home and there’s no reason you shouldn’t start your journey off on the right foot. Hire a moving service in Chesapeake that believes heartily in providing convenience and integrity to get you where you’re going. Contact us to schedule your move today.